Jaden Smith in an interview with GQ magazine says that he doesn't care that people think he's craxzy, he said that he embraces the criticism. "People think you're crazy, I feel like it's an honor, actually, for people to think I'm crazy. Because they thought Galileo was crazy, too, you know what I'm saying?" the 17-year-old star explained to GQ staff writer, Zach Baron. "I don't think I'm as revolutionary as Galileo, but I don't think I'm not as revolutionary as Galileo." His comparison of himself to the renowned astronomer is just one of several bizarre quotes that Will Smith and Jada Pinkett Smith's son told the men's magazine. 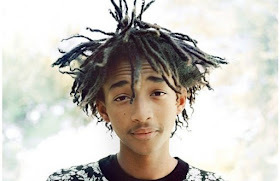 Jaden and his 14-year-old sister, Willow Smith, have a Mystery School. "It dates back to like ancient Egypt, ancient Greece -- like Plato, Pythagoras, all these students had mystery schools. And what they learned in there was sacred," he explained. The siblings are also "scientists," according to Jaden. "So everything for us is a scientific test upon humanity," he said. "And luckily we're put in a position where we can affect large groups of human beings at one time." Jaden likes to build stuff. "Like, the clothes I'm wearing right now, done it on my own," he boasted to GQ. "I built my own bed, I built my own closet, um, I built two closets, I built four beds, I built, um, one pyramid..."
He added: "It's at my parents' house. Half of a pyramid. The tip is missing, but the whole structural thing is built, and it sits at 12.5 feet tall." 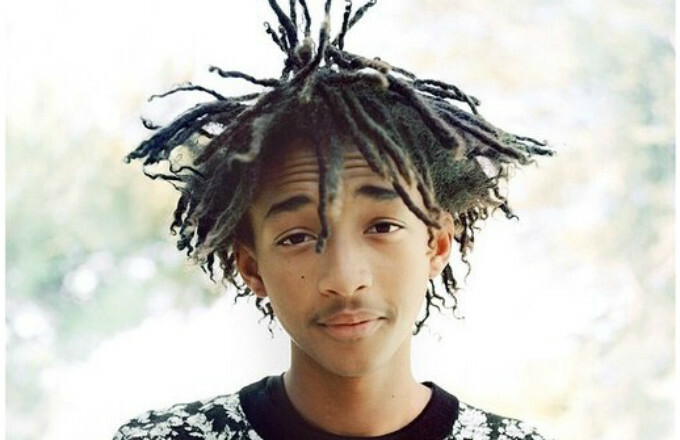 Jaden plans to disappear for 10 years. "No one will know where I am in 10 years. They'll see me pop up, but they'll be like, 'Where'd you come from?' No one will know where I'm at," he said. "I've been planning that since I was like 13. ...It'll be kind of like Banksy. But in a different way. More of a social impact. Helping people. But through art installations." "I rarely go to parties," Jaden, who was recently seen out during New York Fashion Week, said. "My whole life is just dedicated on learning and breaking, like, the craziest records of life, and being like one of the craziest human beings to ever exist. That's me."